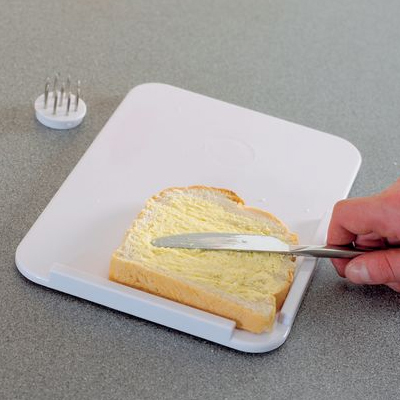 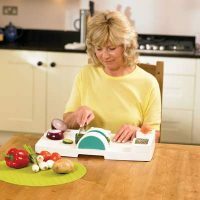 This durable spread board features a raised L-shape in one corner to aid one-handed bread spreading. 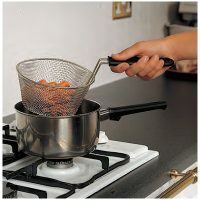 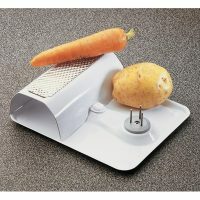 The stainless steel spikes hold bread or vegetables firmly in place while they are being chopped. 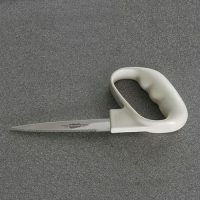 Size: 7⅛ x 10⅛”.